For me, summer pleasures in Northern California most weekends involve an hour’s drive north, usually to St. Helena in the Napa Valley, where I hide away at Meadowood and visited my friends. Bliss. The Napa Valley is extraordinarily beautiful in summer. 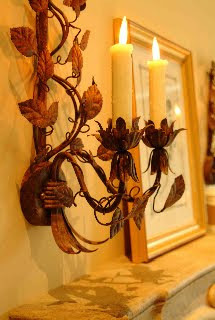 But one weekend recently I wanted different scenery, a sense of country life, new tastes of summer, and fresh ideas. For my two days of heaven, I headed up Highway 101, 65 miles north of San Francisco, to the town of Healdsburg, in the middle of the northern Sonoma County wine country. My concept: see some beloved friends, experience new flavors, and breathe in the fragrance of zinfandel grapes ripening, walk around the square in Healdsburg, and let the warmth and generosity of summer take over. 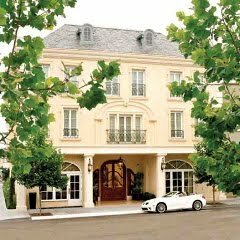 Follow me as I sign in at Les Mars Hotel, head to lunch with Myra Hoefer, and settle in for wine tasting at the brilliant new Boisset Taste of Terroir wine salon. 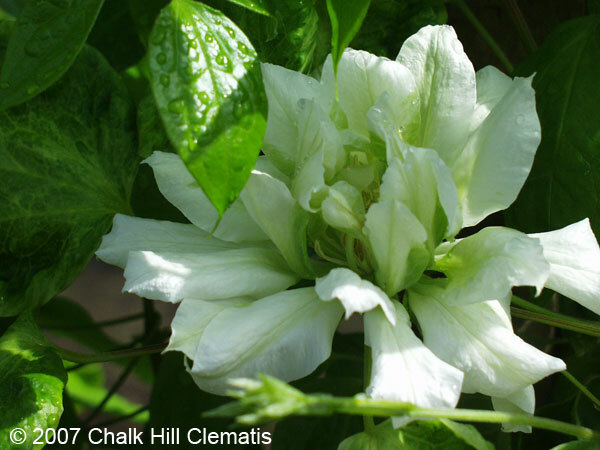 On Sunday we head to Dry Creek peach orchard, and then up into the hills to private Chalk Hill Clematis for the finest olive oil, aceto, and honey. Come with me for a weekend of inspiration, creativity and friends. 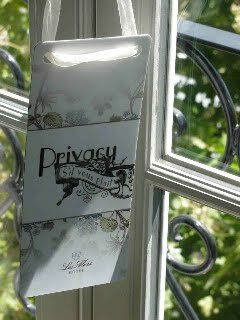 I selected chic and lovely Les Mars Hotel for my weekend retreat because it is beautifully located off the Plaza, and it’s discreet, quiet, and private. 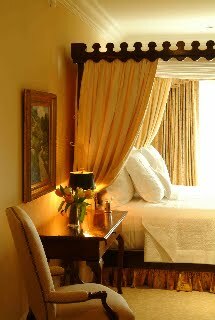 It’s also very under-stated and classic, with no big scene, no bustle, just beautifully maintained suites and a sense of attentive and thoughtful management. 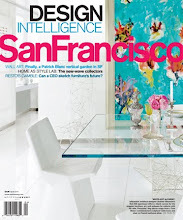 A dear friend of mine, San Francisco design Helga Horner, directed the interior décor. 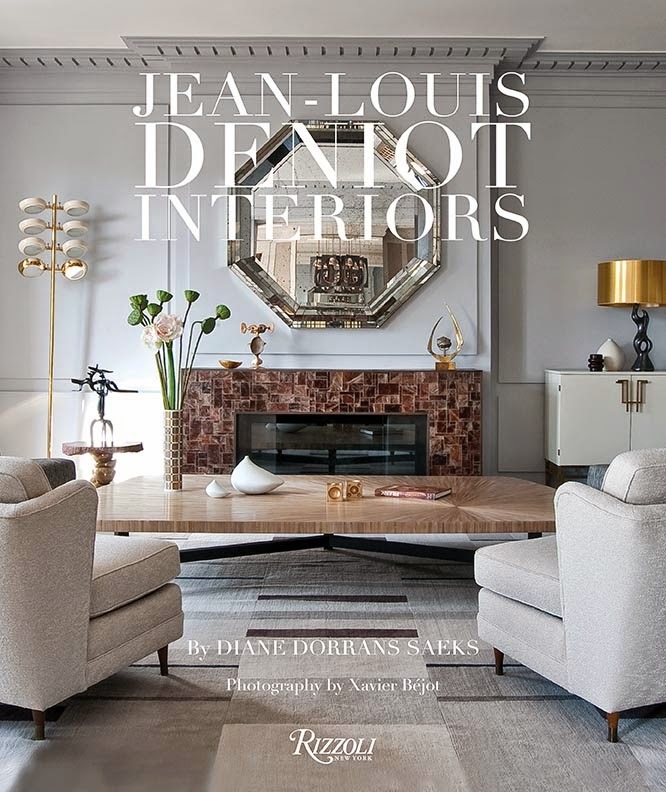 The style is French-accented with beautiful ironwork on the curving stairway, marble floors in the lobby, plaster walls, and elegant light-filled rooms that would look absolutely at home in an historic city in France. There are just a handful of rooms, and guests come and go (or stay in) without encountering distraction or noise. 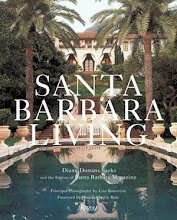 It’s eighteenth-century French manor in approach, but with a sunny California spin. Just the ticket. General manager, Katie Ciocca was waiting for me as I arrived from San Francisco around 11.30am. “We’ll take care of the car and your luggage, so head over to the Farmers’ Market now as they start packing up by noon,” she suggested. I grabbed my super-eco natural linen market bag and dashed across the street and beneath the shady catalpa trees to the farmer’s market, which features just-picked fruit and produce from nearby farms and orchards. I was just in time to catch the great Gayle Okumura Sullivan of Dry Creek Peach and Produce orchard, as she was already re-loading her truck. Gayle’s peaches—she grows ten varieties of white peaches and many types of golden yellow peaches and nectarines- are superb. She picks them only when they are ripe, and delivers them almost daily to Chez Panisse in Berkeley and to Boulette’s Larder, a favorite restaurant of mine, situated beautifully at the Ferry Plaza in San Francisco. Gayle (and her husband Brian’s) peaches and produce are highly prized for their flavor and quality by many top-rated and highly regarded restaurants in the Bay Area. Gayle chose for me a selection of her white peaches (sweet as honey, so juicy and peachy and floral), and a bag of her yellow peaches, along with white and yellow nectarines. She invited me to drive out to her orchard in Dry Creek (home of all the top Zinfandels) for lunch on Sunday. In another ten minutes, the market was over, so I headed back to the hotel, deposited my farm treasures in the Les Mars hotel cooler. 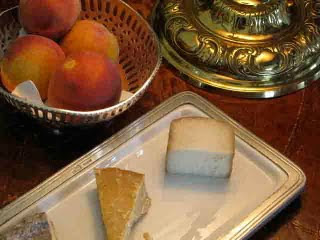 Les Mars reminds me of hotels I’ve stayed at in the Loire Valley, with its stucco exterior, a pair of sycamores standing guard, and a manager who sends to my room a silver tray of three hand-picked cheeses, accompanied with Spanish almonds and crispbreads. 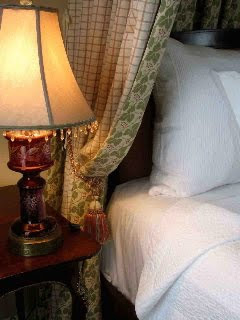 Beside the four-poster bed were a pretty bowl of fresh peaches (Dry Creek Orchard), and Michael Recchiutti chocolates, and white garden roses in a silver vase. 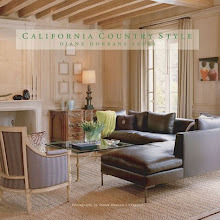 Beyond the wing chairs and chaise longue, open windows revealed oak trees and the coastal range in the green distance. So uplifting and refreshing. 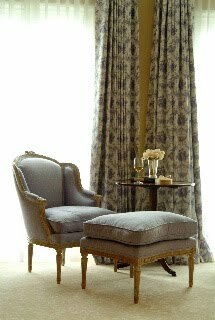 Lunchtime approached, and I headed first to Myra Hoefer Design, on the plaza, to see the latest pieces of Myra's new A La Reine furniture collection. 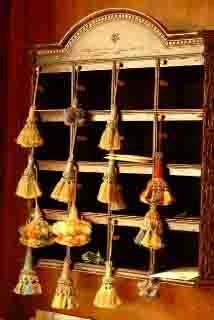 I love Myra’s shop. 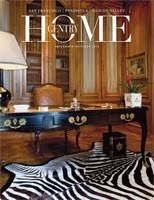 It’s always full of designer friends of mine who have houses in Healdsburg. They love Myra’s fresh style. Then it was a quick detour to the Downtown Bakery and Creamery to pick up some fresh-from-the-oven fresh fruit tarts—peach, nectarine and raspberry, bitter/sweet plum—and I headed to Myra’s Ivy House for a bite of lunch. I was expecting a lunch a deux with my dear designer friend, but as always, she invited some fascinating guests, and prepared beautiful salmon, asparagus and orzo salad. I chatted with Wade Hoefer about his latest paintings, on view in Myra's shop. We dined outdoors in the shade of ivy, with rose and oleander fragrances in the air and perfect summer temperature. We loved the fruit tarts so much, I ran back over to the Downtown Bakery for more fresh-baked tarts. Perfection. 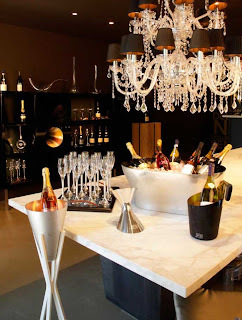 Then it was time to walk over to the newly opened fabulous Boisset Taste of Terroir wine tasting bar. I had an appointment at 4.30pm. 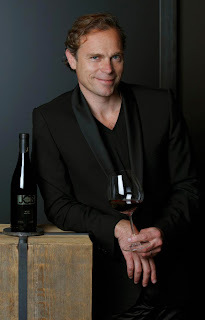 I recently had the great pleasure to meet Jean-Charles Boisset, the most charming Frenchman on the planet (I am an expert, so trust me on this) and the scion of the Boisset wine clan, major in Burgundy. 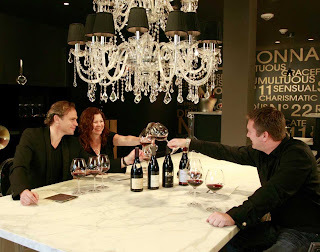 It was the brainstorm of Jean-Charles to open a chic wine tasting salon on the Healdsburg square, to taste both Sonoma wines (Boisset recently acquired De Loach), and fine Burgundy creations. “I wanted to transcend traditional wine-tasting boundaries, and taste both Old-World French wines, and compare them to the style and terroir and creativity of New-World wines of Sonoma Country,” said Jean-Charles. 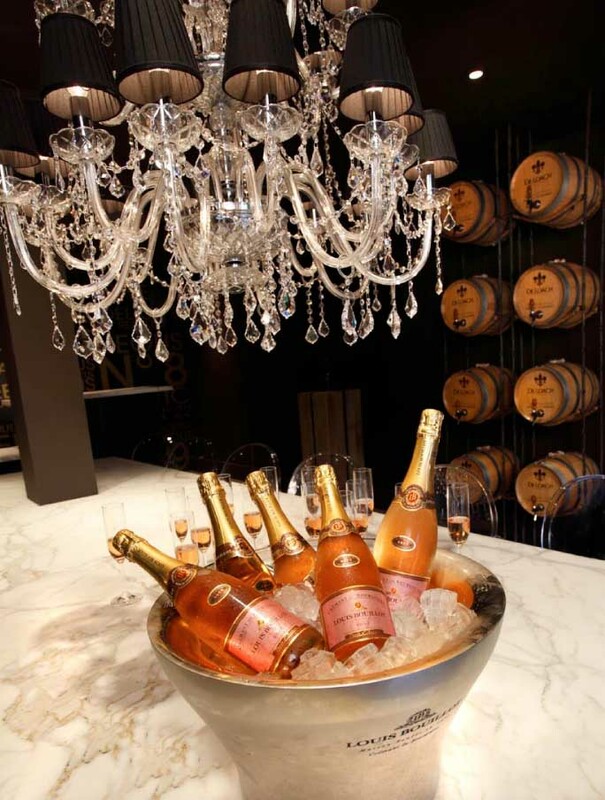 The Boisset portfolio in Burgundy includes Louis Bouillot, founded in 1877, that crafts romantic Cremant de Bourgogne, a festive sparkling wine, as well as the more serious Premier and Grand Cru wines like Domaine de la Vougeraie, and Bouchard Aine & Fils, founded in 1750 in Beaune. And now Jean-Charles has introduced his own label, JCB by Jean-Charles Boisset, a limited edition for a new era, using Burgundian family traditions. A hint: he adores pinot noir! 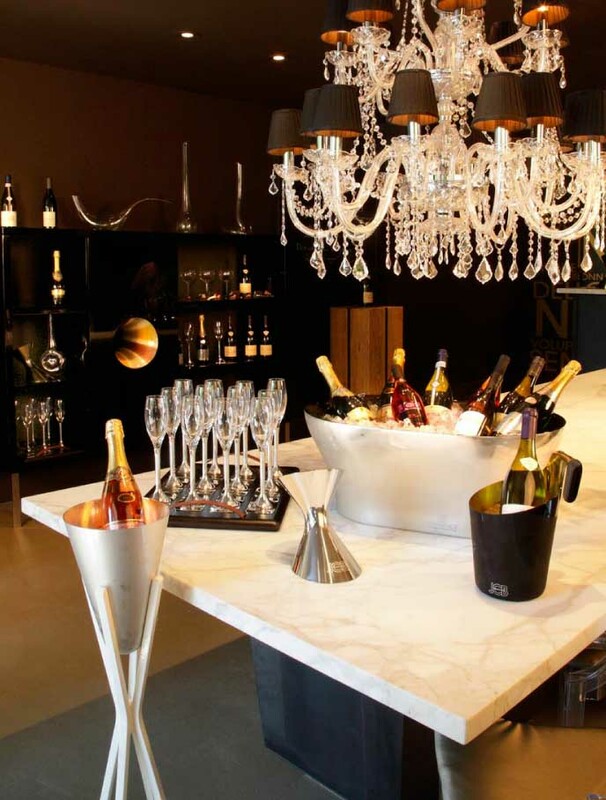 Jean-Charles Boisset worked closed with architect Howard Backen and with designer Nicole Hollis to realize his dream wine-tasting salon. Jean-Charles wanted to feature his JCB logo on the back wall. 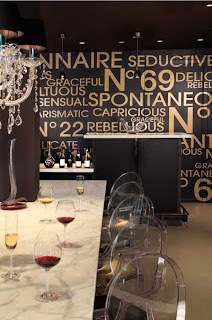 Nicole Hollis created a graphic wall design using the words that Jean-Charles (who is passionate and highly articulate about wine) expressed for each of the wines from his JBC collection, such as No. 7 ‘sensual’ and ‘seductive’, and No. 69 ‘graceful’ and ‘romantic’, for example. His wine descriptions were applied to the back wall in gold foil on a black backdrop. 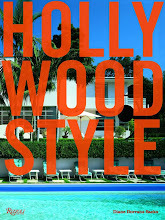 The effect is modern, witty and inspiring. 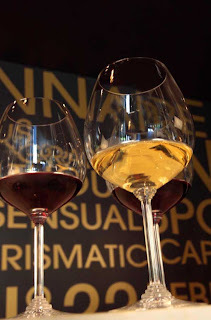 I was so impressed with the menus of wines to compare and savor and enjoy. 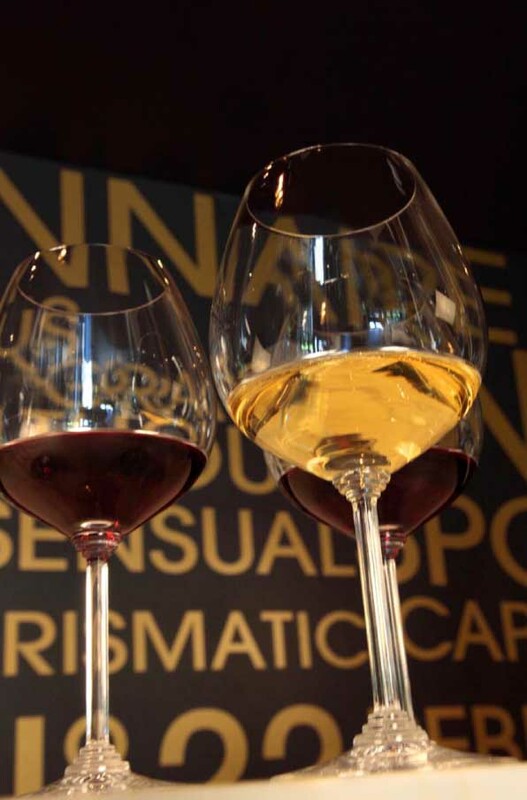 There is even the divine Grand Cru tasting of all Boisset’s Cote de Nuits vintages, an extraordinary opportunity to taste a thrilling selection of Burgundies. 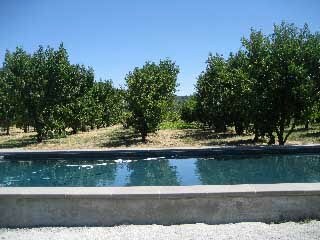 Sunday after a lovely breakfast and The New York Times at Les Mars Hotel, I headed west among the vineyards of Dry Creek to Dry Creek Peach and Produce, the home of Brian and Gayle Sullivan. 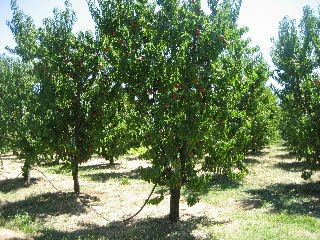 Workers were on ladders picking ripe peaches as I arrived, and I met Gayle in the farmstand to admire her varieties of white peaches, boxes of yellow peaches, and selections of nectarines, as well as the most beautiful green beans and tomatoes. No wonder Chez Panisse loves these peaches. They’re picked at perfection, and driven straight to the restaurant. They’re never pinched and bruised, and they have a sunny sweetness that’s only possible with perfect ripeness. I sipped her magical creations, and toasted Gayle and Brian and their bountiful orchard. 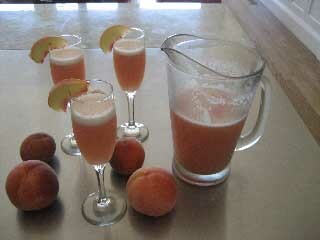 I buy some extra peaches, anticipating peaches for breakfast for the next weeks. 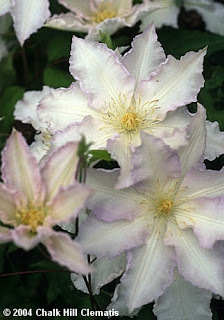 My last stop on Sunday afternoon was to the remote (private) Chalk Hill Clematis farm, to visit my longtime friend Kaye Heafey. 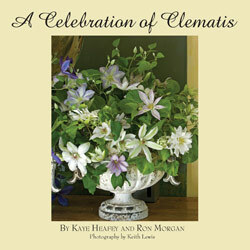 Kaye loves flowers and adores clematis. Every week, she ships precious cut clematis to the New York flower market, where top florists like Zeze and wedding designers buy these rare and lovely clematis varieties for their spoiled and fortunate clients. Kaye, a perfectionist in all things, worked with chef Paul Bertolli, to create an acetaia, to make her own Chalk Hill Clematis estate Balsamic vinegar. This is a rare and heady brew, just wonderful on strawberries, or in vinaigrette. 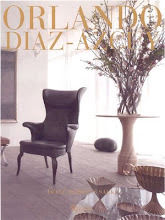 It’s available through mail order (see below). 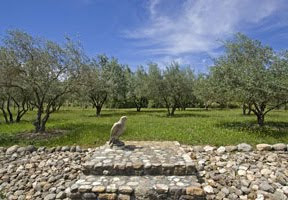 Then Kaye set her mind to extra virgin olive oil, using olives from her own trees. The result is fruity and lovely oil, fresh and distinctive and bright. I love it. Now Kaye has turned her creativity to bee keeping. We visited the beehives, and she spoke so fondly of her little bees, who were busy feasting on her roses, honeysuckle, and wild flowers in the meadow. We tasted the first of the honey harvest. This syrupy, tangy, richly colored honey tastes of the country, of heritage roses, mossy old oak trees and philadelphus and California country sunshine, the unctuous blend made by very happy bees. Wow. Quite a buzz! 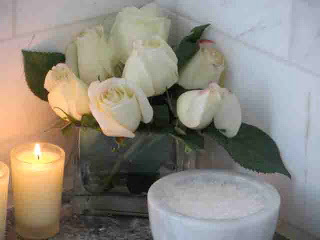 Kaye is just now selecting the ideal glass jars, and will be selling it soon, via email and UPS. This would make the most wonderful and rare gift (this is a very limited edition honey) and Kaye’s labels are highly collectible, too. And so my divine escape to the country, with happy encounters and earthy flavors and distinctive scents and tastes, came to an end. I headed back to the city, my car full of Boisset wines to savor, rare honey and aceto and olive oil, fragrant peaches and tomatoes, chocolates from Les Mars Hotel, as well as bounty from the farmers’ market. Oh, and white peach jam and white nectarine jam, perfect to spread on nine-grain toast with lots of butter, on a winter morning. Memories of summer. Such good fortune, and such creative and taste-obsessed friends. Les Mars Hotel, 27 North Street, Healdsburg, 707-433-4211, www.lesmarshotel.com. 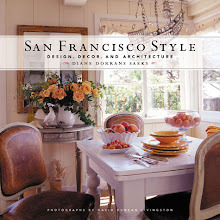 Myra Hoefer Design, and A La Reine collection, 309 Healdsburg Avenue, Healdsburg, 707-433-2166, www.myrahoeferdesign.com. Boisset, Taste of Terroir, 320 Center Street, Healdsburg, Wine tasting bar, www.boissettasteofterroir.com. Open daily, and until 9pm Thurs—Sat. Dry Creek Peach and Produce, Gayle and Brian Sullivan, 2179 Yoakim Bridge Road, Healdsburg, 707-433-8121, www.drycreekpeach.com. 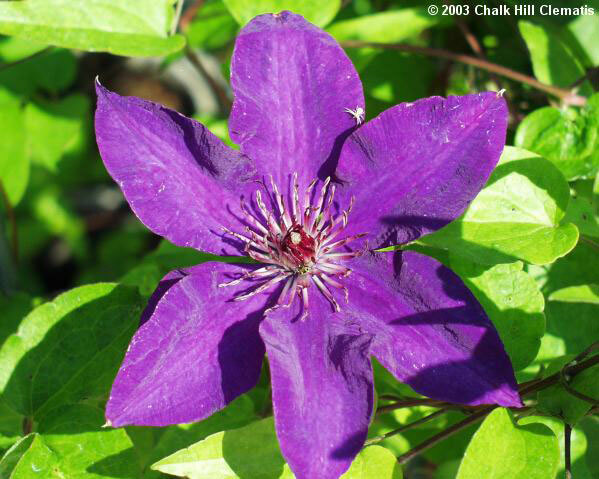 Fax: 707-433-8963. www.chalkhillclematis.com/index.html. farmmgr@chalkhillclematis.com. 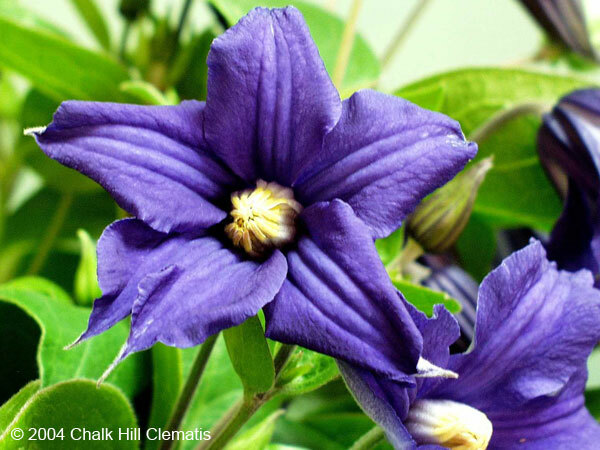 Note that the clematis nursery no longer sells plants, but the farm’s exclusive estate-crafted and bottled superb extra virgin olive oil, vinegar and balsamic vinegar, can be ordered or sent as gifts. Simply superb. Photos of Les Mars Hotel: Exclusively for THE STYLE SALONISTE, courtesy of Les Mars Hotel. Boisset Taste of Terroir photos: Barbara Bourne Photography, Healdsburg. 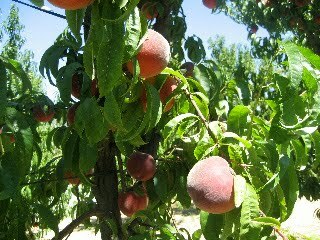 Dry Creek Peach and Produce: DDS and Gayle Okumura Sullivan. Chalk Hill Clematis, photographs by Kaye Heafey, with permission. 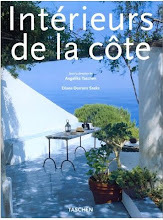 Another delightful week-end at a very elegant but under-stated hotel, delicious food, good company, superb wine tasting and going home with aceto, oil, wine, white peaches, my favorites. Oh just a moment, it was not me traveling...but for a few minutes I was there! Oh my goodness Diane! This is a weekend from my dreams. Next time we head up that way, I will be looking into Les Mars! Thank you for such a treat! HI ALBAROSA-Well, you are right. I do invite my lovely members along with me...and I write about it as if you were there. It was a wonderfully full and lovely weekend--and the bounty in my car (fragrance of peaches) kept me uplifted for the rest of the week. Hi Katie-Thank you so much. 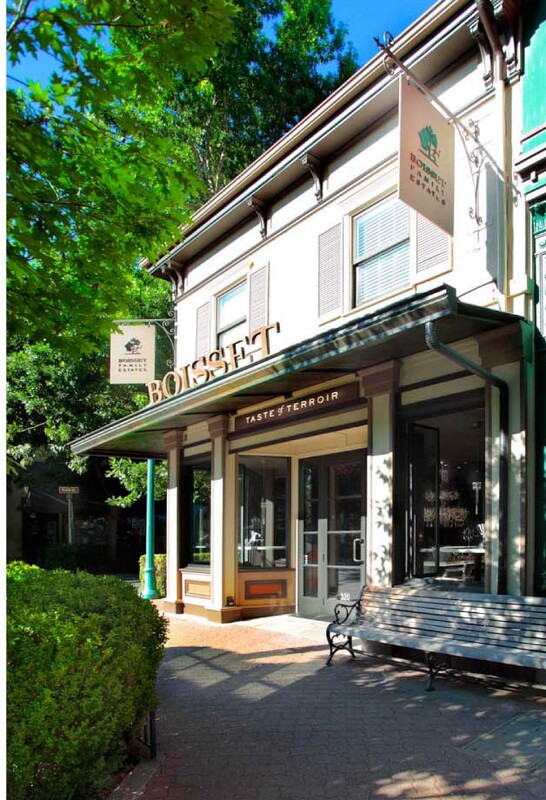 I know you are very familiar with Healdsburg--and suddenly there new places, and new excitement...plus the old favorites like DOWNTOWN bakery...Boisset tasting salon is lots of fun and the staff there are polished and knowledgeable and incredibly nice and fun and helpful. 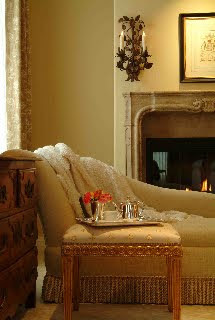 You can imagine...guests arrive and linger for yours. 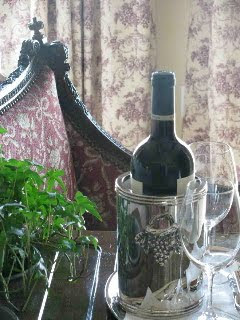 The wine selection is fantastic and rare in the CA wine country...Hope to see you soon! 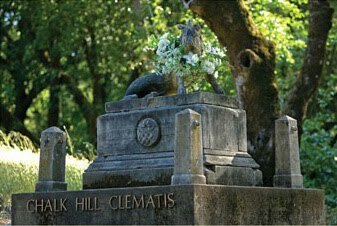 We have fond memories of Healdsburg. Next time, we'll have to stay at the Les Mars hotel- thanks for the tip! P.S. Thank you for your wonderfully thorough descriptions. We feel like we are there with you. The Mars Hotel is of an exquisite beautiness! Completely my style! 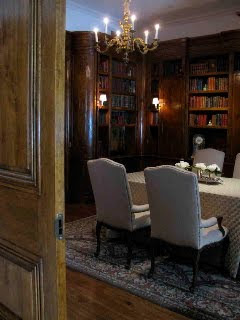 The rooms, that library room!! As you said it feels as you stay in a Loire castle! 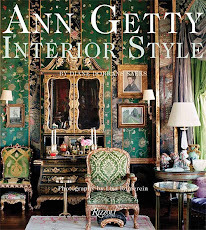 And I visited the Myra Hoefer website and discovered more of all those beautiful interiurs! You made my day! What a fun & wonderful trip! I'm putting it on my list. Hope you have had a great summer. It has gone too fast. Hope you are well. Love the JCB wine label!!! 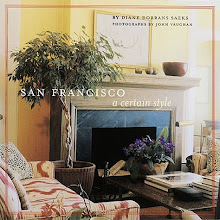 Diane-Thanks for sharing some of your favorites in Healdsburg.I was visiting friends in Sonoma and took a daytrip over to H.(labor day weekend) what a beautiful place. Sorry I did not have your suggestions. Next time! you are the best! Oh, dear friends--how lovely to hear from you. I write--and you find--and somehow the magic of the Internet connects us all...you in Belgium or Yountville or Canada or San Francisco or the East Coast or...Hong Kong. Dear Ann--yes, highly recommend Les Mars, under the direction of Katie Ciocca. 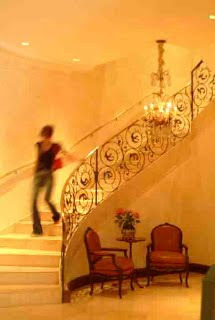 She's charming, intuitively hospitable, and adds a great flair to the hotel. I especially like the location: in a quiet corner, leafy, but near the square but not on it. 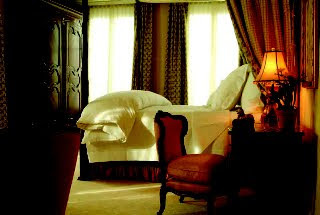 Good Morning, Greet-Ha...you would love this hotel...and it is precisely what you might encounter in Bordeaux or Orleans or Lyon. Love your blog and always find it inspiring. Hi Gwen--so wonderful to hear from you. You must come out and visit us soon. Harvest is coming up. Dear Ginny--well, aren't you lovely and generous. Wow, I am so moved. 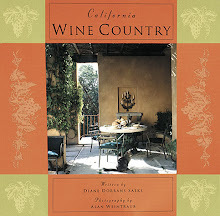 California Country--I wrote it twenty years ago, and it was my favorite book. I'm so pleased. Thank you. Hi Janet--Yes, the label is graphic and modern. 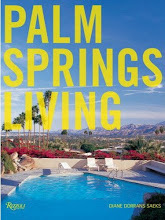 I saw Jean-Charles last night at the opening night gala of the Symphony here, and he is so excited by the blog feature. I'm a big fan of his energy and spirit, as you can tell. Healdsberg is one of my most favorite places! The wine country and San Francisco make northern California one of the most fabulous places in the world to live and work. 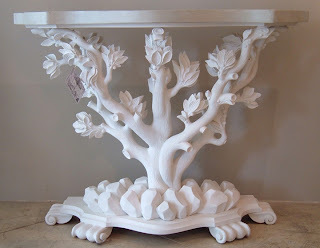 Thank you so much for a wonderful post. As always, your blogs are heads above the rest. Speaking of peaches, I made the most delicious homemade peach ice cream this Labor Day weekend! Thank you for another lovely post! Le Mars is exquisite. 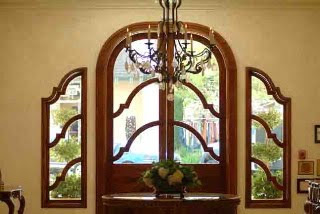 Your friend, Helga, did a beautiful job designing the interior. I'm now rethinking our decision to spend a weekend in Napa for a weekend in Healdsburg this November. What a lovely weekend you had. 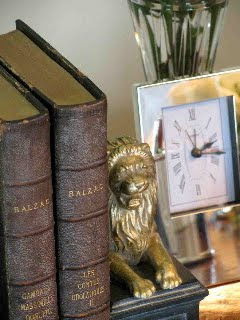 The hotel is utterly charming, and the design so beautifully suggests Gallic charm without becoming pastiche. 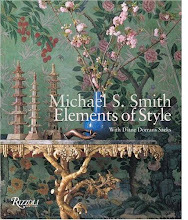 I like to study hotel décor and service, because there one gets the best ideas for homes: rooms that are pleasant and bright, easy to maintain, classic, and details such as teapots that don’t drip and unpretentious drinking glasses that aren’t tippy or clumsy. I’ve also been enjoying peaches the last two weeks, but haven’t made Bellinis for a few years. You’ve reminded me to do so for fall entertaining. Good idea, Diane. You have such an admirable appreciation of nature, gardens, the harvests of the season, the country, and authentic foods. What a delight to read. Delightful messages, thank you for your thoughts. Dear Shiree--You must go up and visit Healdsburg (just for the wine salon alone)...though I think the peaches are in their last weeks. Delicious...peach icecream. 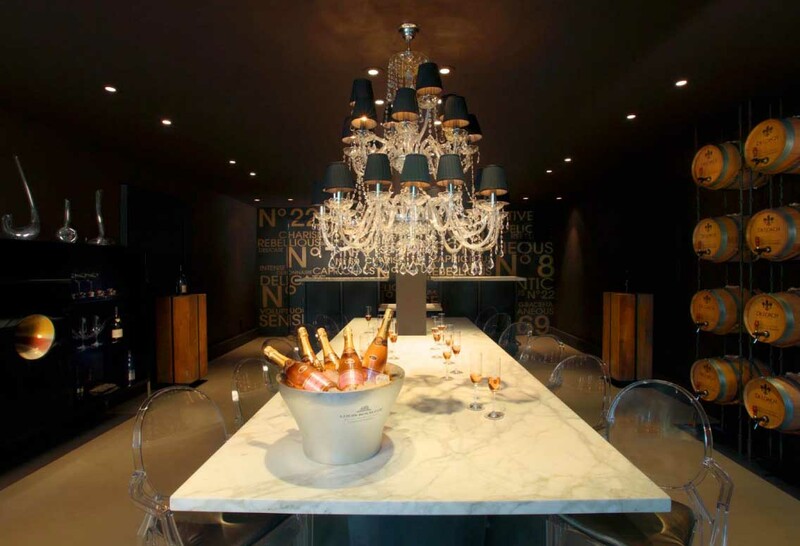 Hello, Champagne--my dear francophile, how lovely to hear from you. Yes...November in Healdsburg, definitely. It's a very chic small town, lots to see and lots of great people. You'll love it. Square, Greetings to you--I do love my Canadian friends, some of my most faithful readers from the start. 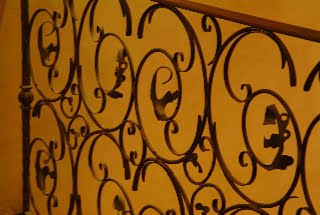 Your comments are so apt about hotel decor--and I am a perfectionist in this regard. I care about and notice (right away) the air...is it fresh and clean and pleasant...and the light. 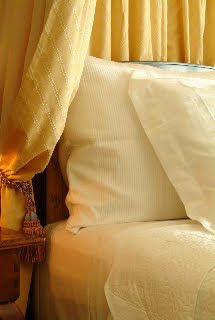 Les Mars is very Relais & Chateaux, and so the standard of service and amenities is high. Katie Ciocca takes it over the top. I found it very congenial and low-key. So wonderful to read your travelogue...I was supposed to be touring San Fransisco this week but had to cancel....being born and raised on a vineyard near Bordeaux, i have no excuse for not being familiar with California wine as well.Thank you so much for your brilliant descriptions, photos, itinerary and recommendations....now I just have to plug it into my calendar.